Your feet are obviously crucial instruments in hiking. The quality of a hike is largely dependent on the condition of your feet, which means it is largely dependent on the hiking boots you choose. Unless you prefer to hike with soaking wet feet or blisters, you’re going to want to read this article to learn about choosing the best hiking boots for your feet. It is important to know what to look for in a pair of boots, and what characteristics are most important for you. If you have wide, flat, or narrow feet, you probably already know the importance of finding shoes that fit your particular foot type. Hiking boots are no exception, so this review will provide you with a list of the best hiking boots for wide, flat, and narrow feet. Before you get overwhelmed by all of the hiking boot options, you should take the time to do some in-depth research regarding how to choose the right hiking boots. There are several different kinds of hiking boots, so before you make a purchase, you should decide how you plan to use your boots for the majority of the time. While some are better suited for day hikes, others may be better suited for multi-day hikes. Some may be better for hiking on rocky terrain, while others may be better for wet or slippery terrains, such as creek hikes. Once you determine what type of hiking you will be doing, you can then start to compare the different materials that boots are made of. Leather boots tend to be more durable and water resistant, but they are heavier and less breathable. Suede are light and water resistant, but they are less durable and less breathable. Synthetic materials are more breathable and lighter, but they are less durable and less likely to be water resistant, although most are quick to dry if they do get wet. After choosing a material that best fits your needs, the last thing for you to consider when buying hiking boots is the fit. One of the more, if not most, crucial factors to consider is how well the boots fit you. This is especially true for people with wide, flat, or narrow feet. Owning a pair of poorly-fitted boots can leave you with feet terrorized by blisters. In some more serious instances, it can even cause toenails to fall off. When going on long hikes, pain can quickly ensue and become severely debilitating. You should consult someone who knows about proper fitted boots, such as a sales associate at a hiking store to ensure that your boots fit well before you buy them. Although, no one knows better than you if the boots fit! Certainly, these are just a few of the things you should take into consideration when buying new boots. However, now you can begin to apply this knowledge to choose the best hiking boot for wide, flat, and narrow feet from the list below or based off of your own personal preferences. 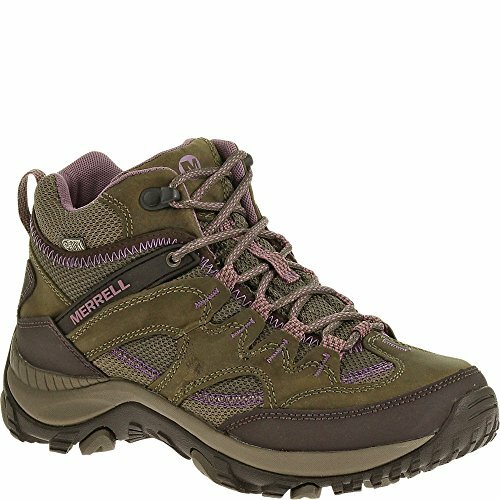 Merrell recently started offering many of its popular boots in wide widths to accommodate both male and female hikers with wide feet. This particular boot is an excellent light option for waterproof boots. It is made with a combination of leather and synthetic materials, and it can be purchased at a moderate price. Merrell designed this boot with a lot of thought, and as a result, it has several characteristics that would fall in the pros column. They carefully combined leather and synthetic to get the best of both worlds. The support of the leather provides the durability while the nylon allows flexibility and breathability in the waterproof boot. Some may complain that the combination of leather and nylon makes the boot too flexible or light if they are looking for a more solid and sturdy boot for more intense hiking. 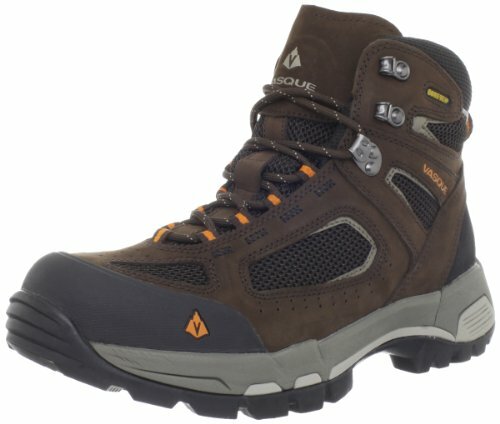 This boot is easily one of the best hiking boots for wide feet among men and women. It takes an excellent boot from a reputable brand and effortlessly transfers the elements to a boot that is suited for people with wide feet. 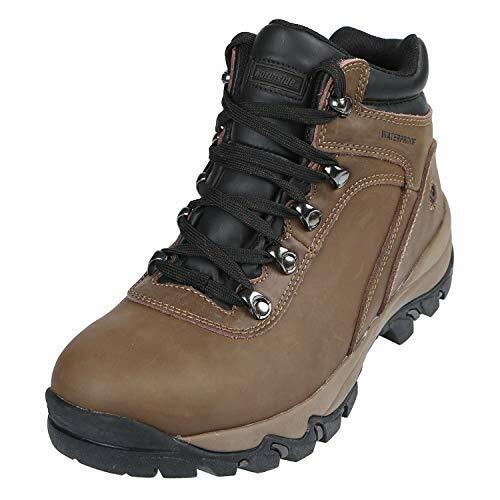 The benefits of both leather and synthetic materials makes these boots a great choice for hikers looking for a lightweight, durable, waterproof boot that fits them well. 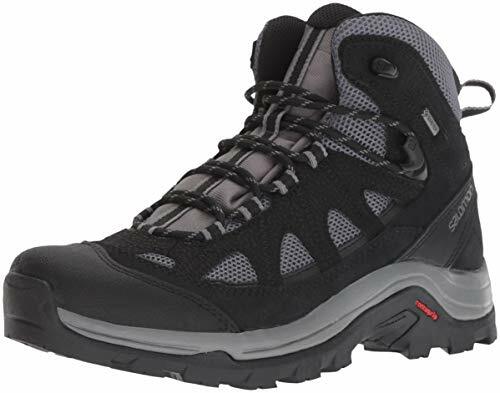 These boots are one of the best hiking shoes for wide feet for men because they already are made for wide feet, but they also have removable insoles to make more room if needed. The boots are all leather with a sole that is good for any terrain or weather. Because the boots are constructed out of leather, they provide your feet with good protection from water, and they are also durable enough to last you several miles of hiking. The option to customize the boots fit by removing the insole makes this a good option for a variety of hikers, and even though it is a good boot, it is the most affordable out of all of the hiking boots in this review. Though these boots are water resistant, they are made of leather without Gore-Tex, so they are less breathable than other boots on this list. They are also significantly heavier than other options. The Northside Apex hiking boot would be an excellent option for wide-footed, beginner hikers. Because of the affordability and its quality, hikers with wide feet will find that this option will give them the best bang for their buck. There are certainly some areas the boots could be improved on, but they serve their purpose well as is. For not being designed specifically for hikers with wide feet, these boots have enough room to accommodate most wide-footed hiking men and women. It is another boot made from a combination of leather and synthetic material, and it falls in the moderate level in regards to cost. The materials used in making these boots make them rather light and breathable for waterproof boots. Despite being made to be lighter, they are still more very durable, and they are overall good, quality boots for a reasonable price. The major con for this boot is that it may not be suitable for all hikers with wide feet. Since the design was not made to accommodate wide-footed hikers, it may fit some wide feet while others might find that they are still too wide to comfortably fit in them. Even though it was not designed to be so, the Vasque Breeze 2.0 GTX boots are some of the best hiking boots for wide feet on the market. If you have wide feet and are able to find comfort in the fit of these boots, we think you will find that they would be a good purchase decision. 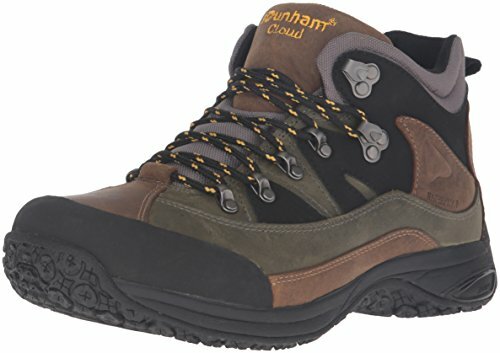 Some of the best hiking shoes for wide feet due to their excellent craftsmanship, these are another pair of hiking boots that might just last you a lifetime. The full leather uppers are 100% waterproof which not many boots can honestly claim to be. They are also very supportive, well cushioned and extremely durable. Padded ankle collars are extremely comfortable and supportive. 1 lbs 3 oz is lightweight for such a heavy duty boot. Rubber lug soles have a “motion-efficient” design making them comfortable and grippy on all terrain. Both toes and heels are reinforced with bumpers for extra protection and durability. Removable dual-density EVA foam foot bed is comfortable and supported or can be replaced with a custom insole. ‘E’ width available for extra wide feet. Leather takes a little more care to look after than synthetic boots but if you do it right, you’ll reap the benefits of a long lasting shoe. Another solid pair of hiking boots that should last a long time if looked after properly, these Timberlands are a great choice for wide feet. Known for their wider fit, New Balance shoes are always a great option for people with wide feet. 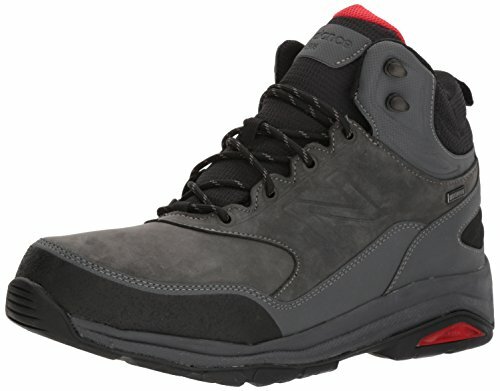 While not being known for their hiking boots, New Balance has catered perfectly for the wide footed hiker with these boots. 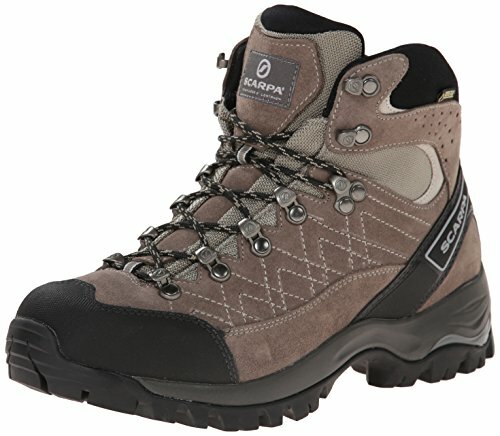 They are not as durable or grippy as other brands but would likely make a great pair of weekend walking shoes for a beginner or someone who occasionally wants to hit the trail to get fit. The additional support included means that these could be the best hiking boots for wide flat feet. Lightweight and flexible considering the amount of support and cushioning that they offer. They are very well cushioned, particularly in the heel, making them ideal for heavier men. Warm and cozy for use in colder weather. The don’t look like hiking boots which means they can double as a work shoe for some occupations, if needed. Durability could be better for the price. Traction could also be better. Not suited to slippery, winter conditions but will be fine on your typical earthy hiking trail. While the price may more be linked to the New Balance name than the durability of these boots, if you’re struggling to find a comfortable, supportive boot that is wide enough for your feet, then these could be a great option. These boots are another great offer from Salomon and ideal for the wider foot. They are supportive, cushioned, snug fitting, waterproof, breathable and with great traction – everything you could want from a hiking boot. Already a best seller, this boot has been updated to include Descent Control Technology to keep you safe and secure on the downhill. The Gore-tex liner is waterproof and breathable. Sensifit technology keeps your foot snug and supported. Two different types of rubber result in superior grip on the outsole. Protective heel cap and molded EVA midsole provided extra security and comfort. Potentially not as waterproof as they claim to be. 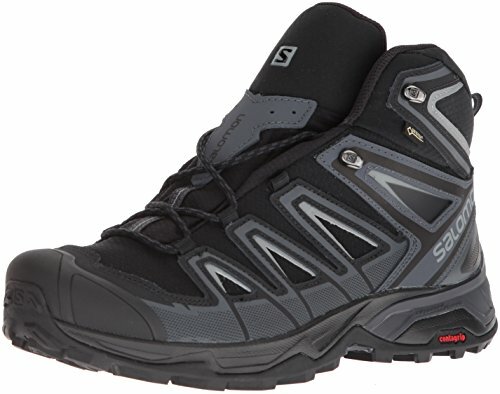 Likely to be the best men’s hiking shoes for wide feet, Salomon’s X Ultra 3 Mid GTX is truly a top of the line hiking boot for shorter multi-day hikes and day hikes. It’s really difficult to find women’s shoes that accommodate wide feet, but these ones do the trick. These waterproof boots are a combination of durable leather and breathable mesh, keeping your feet both safe and comfortable while you hike. They even come in different colors, giving you a little bit of choice when it comes to your personal style. Since the upper is suede leather, you won’t have to break them in. Interior EVA mold absorbs shock for a comfortable hike. Insole is sanitized and keeps your feet fresh. Interior waterproof membrane keeps your feet dry when hiking in wet environments. Runs a little small. Choose a half size above your normal size. 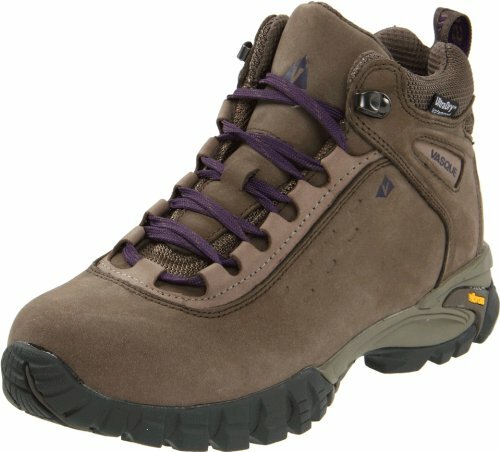 These are great women’s hiking boots for wide feet, and the price is reasonable. They use the highest technology available to keep you safe and dry while you hike, and they’re half as expensive as some other leading brands. This durable leather hiking boot is one of the top-rated boots on the market right now. The women specific design comes with a number of sizing options, including ‘W’ for a wide fit. The leather and Gore-tex combo is waterproof while remaining breathable so you’ll be guaranteed dry and happy, blister-free feet. Stabilizing systems provide support while cushioning provides shock absorbance so all up, this is a very comfortable boot. Vibram sole provides durable traction so you won’t slip on wet surfaces. Built in moisture wicking material in the foot bed will keep your feet dry and healthy. Relatively lightweight (2.3 lbs) for such a sturdy boot. Stabilizing shanks and derby-style lacing makes for a highly supportive, customizable fit. Wide sizing option available providing extra width in the forefoot. Likely to be too hot to be really comfortable on long summer hikes. If a heavy duty, waterproof boot with a wide fit option is what you’re after, you’ve come to the right place. This is very popular boot, and for good reason, so you won’t be disappointed. 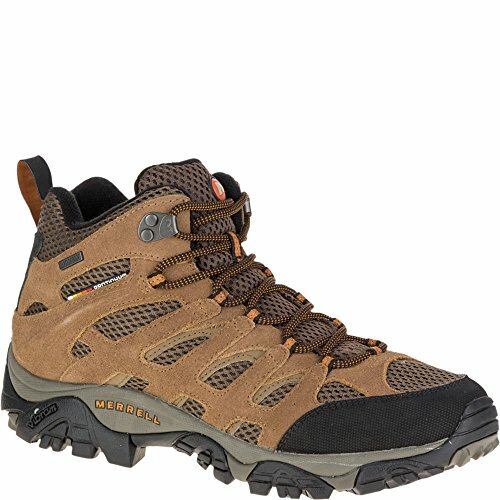 Likely to be one of the most comfortable hiking boots for wide feet. Keen are known for producing very comfortable boots and the Koven is no different. Lightweight, breathable and cushioned, this boot is a pleasure to hike in. It will put up with a little rain but won’t be as waterproof as a full leather or Gore-tex boot. The upside to this is that Keen boots are ideal for summer hiking when you want something cool and lightweight. Leather-synthetic mesh upper is water resistant and breathable. Removable EVA foam inner allows for custom orthotics. Compression-molded EVA foam midsole provides cushioning and shock absorbance. Very quick to break in and mold to your foot shape adding even further to the comfort level. The one and only con is the same for all Keen boots, the outsole just isn’t durable and will cause the whole boot to need to be replaced sooner than most would like. Until the outsole wears down (which depending on how much hiking you do could take a while so don’t let that stop you from trying these boots) these boots will provide a supportive, comfortable hiking experience. This boot is another great choice for men with flat feet. Unlike the Asolo Stynger, this was designed with not only great ankle support but also a footbed designed to prevent injuries and pain related to having flat feet. The heel has air pockets which makes it shock absorbent and also relieves pressure on heels and legs to make for a more comfortable hike. The ortholite footbed makes this one of the best hiking boots for flat feet, and the absorbent heel is just the icing on the cake. The boots are mainly made of synthetic materials, which means they are also very breathable and light. Because of the synthetic materials, this hiking boot is not going to be as durable or waterproof as its leather and suede counterparts. This moderately-priced hiking boot would be great for men with flat feet, who are looking for lighter hiking boots that still provide the orthotic support. The Salomon Authentic LTR are a men’s specific hiking boot that are ideal for flat feet due to their comfortable inner, cushioned heel and supportive chassis system. The main draw card of these shoes is their waterproof materials with a full Gore-tex bootie underneath the leather and mesh outer. And also, they are very, VERY comfortable. Sensifit inner creates a snug, comfortable fit inside the shoe, while the mesh vents promote breathability. Climashield technology coupled with split leather suede upper is very waterproof keeping your feet warm and dry in wet weather. Rubber soles are durable and provide great traction. Chassis system provides stability to the foot. Removable insole allows for customized orthotic. Reasonably lightweight which makes it well suited to summer hiking. Not completely waterproof if you submerge your foot in a puddle that goes over the toes. 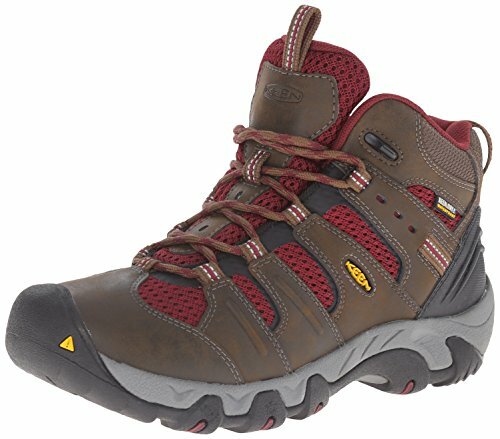 A lightweight, very comfortable, summer hiking boot that is supportive and well cushioned for flat feet. New Balance isn’t particularly associated with hiking boots, but they are known for stability and comfort, so a hiking boot from New Balance must be a good thing, right? Dunham by New Balance provides a boot perfect for weekend excursions. It is durable, waterproof, wide fitting, well cushioned and comfortable. What more could you want? Extended widths available which is especially great for flat feet that tend to spread. Waterproof leather upper and sealed seams keeps you dry in wet weather. Padded tongue and collar make for a very comfortable fit. Durable rubber soles have great traction so you won’t have to worry about slipping on the trails. Removable memory foam insole is comfortable and supportive or can be replaced with a custom orthotic. Rollbars help to prevent the overpronation that flat feet are prone to. They likely won’t be durable or waterproof enough for serious winter hiking. 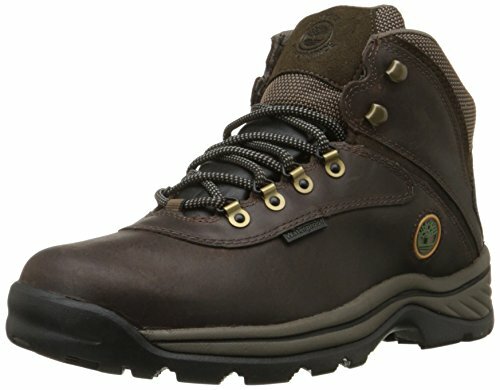 These boots are the perfect option for 3 season weekend hikers with flat feet. Lightweight, reasonably waterproof, and with a good amount of support and cushioning. Provided you’re not going to be climbing any snow covered mountains, these could be the best hiking shoes for flat feet. 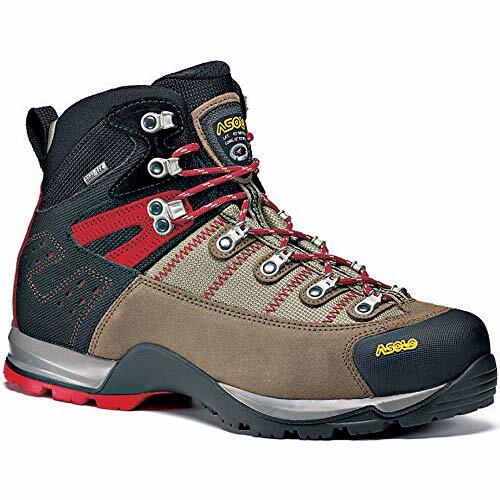 The Asolo Stynger GTX is a suede Gore-Tex boot excellent for hikers with flat feet. Good luck finding another Gore-Tex boot like it on the market that is also one of the best hiking shoes for flat feet. The design provides the right amount of support to make it an outstanding boot in its category. The major pro to this boot is the fact that it is Gore-Tex, so your feet will not only be well supported by the design, but also kept dry. The Gore-Tex and padding and support around the ankle makes it one of the best hiking boots for flat feet. The con to this particular boot is its lack of removable inserts or specialized orthotics design. While it serves flat-footed hikers well, it was not designed specifically for that purpose. Another con is that because they are Gore-Tex, they are on the more expensive end of hiking boots. 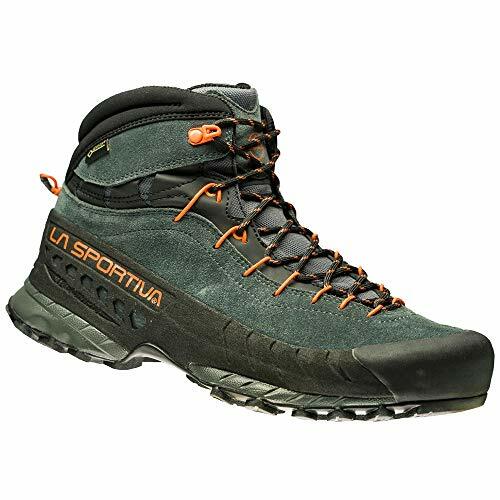 Based on the fact that this boot is of a rare design with the Gore-Tex and support for hikers with flat feet, this is an excellent choice for any hiker, especially those who are flat-footed. Drew Shoe’s are known for creating orthotic shoes, so it is no surprise that they have one of the best hiking boots for flat feet for women. The boots are made with two removable inserts, leather, and a waterproof membrane. The fact that these boots are designed by a company that specializes in orthotics is a major pro that makes it one of the best hiking shoes for flat feet. Though they are specialized in orthotics, the durable leather and waterproof membrane puts these boots right up next to the best of hiking boots in general. 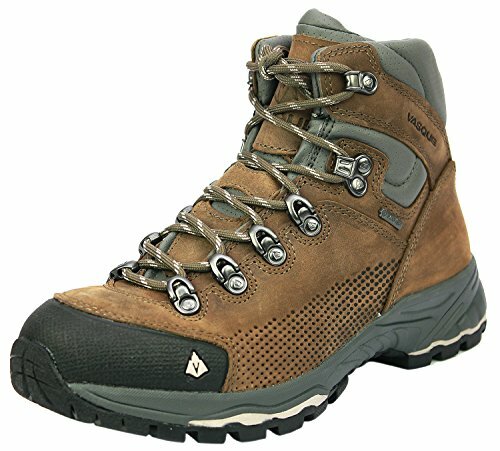 Despite being specially designed, these boots are still very affordable as they fall on the lower to moderate end of the hiking boot price spectrum. The only con for these boots is the fact they are more bulky than other boots to make room for the inserts and other orthotics. As with most things, there has to be some give and take. These boots are no exception. While you must accept the bulkiness, the support, durability and waterproof membrane make it all worth it for women with flat feet and dreams of hiking pain free. 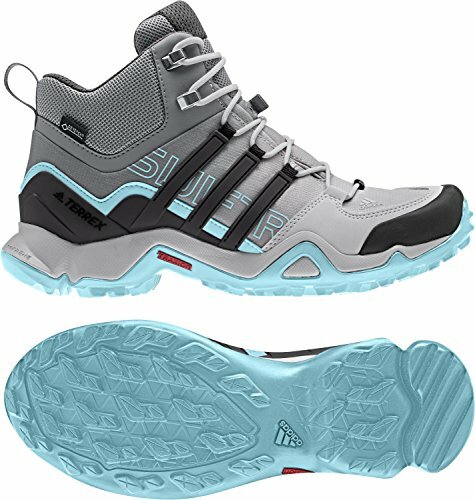 These are some high tech women’s hiking boots, and the interior supports make them an ideal choice for women with flat feet. The lace bungee system helps them hold securely to your feet while you’re climbing higher peaks and varied terrain. Gore-Tex technology helps these boots stay comfortable on long hikes, something that people with flat feet really need in athletic footwear. They even come in different colors, so you can rock your favorite ones. Height of the boot provides additional ankle stability, making it easier to climb. These boots are vegan. Vegan hiking boots are hard to find. Adiprene insert provides the maximum level of support and shock absorption, cradling the soles of your feet. Sole grips are designed for maximum traction in wet conditions. Upper portion of the boots aren’t waterproof. These boots offer the best combination of flat foot support and ankle stability. They’re great for beginners to learn it, and they’re designed to be usable by people who find that other hiking boots are uncomfortable on the soles of their feet. A lightweight hiking shoe with a reinforced toe cap, EVA foot bed and rugged rubber grip, the Salida is an all-round winner for hikers with flat feet. You know anything from Merrell is going to be seriously durable and worth every dollar you pay. The Salida is no exception. EVA foam foot-bed and air cushion in the heel provides excellent cushioning for flat feel that don’t absorb shock naturally. M Select Dry technology keeps the shoe inner dry by repelling external water sources and allowing internal moisture to escape – a feat of hiking boot engineering if ever there was one! Runs small so size up, especially if you like to wear thick socks! Not waterproof if submerged – but very few boots are. A comfortable, lightweight, supportive hiking boot, the Salida is a safe bet for women with flat feet. Designed for rugged terrain, this leather boot is durable and supportive. Keen are known for producing very comfortable boots and this one is no exception. Lightweight and well cushioned, the Voyageurs have a roomy toe box and breathable mesh and leather upper. They are not designed to be waterproof but will keep out a certain amount of light rain which makes them a solid 3 season boot. Patented toe protection keeps your toes safe in rocky terrain. Water resistant leather and mesh upper will keep out a certain amount of rain while being breathable and cool. Aggressive rubber outsole has 4mm lugs for extreme traction. Not waterproof – but this is deliberate to keep it cool and ventilated for summer hiking. Keen shoes tend to break down faster than others – in terms of being environmentally friendly this is a good thing, but expect to have to replace them more often than some sturdier brands. You could consider adding a more durable heel sole to add a lot more life as the heel outsole is the part that wears out first. You live somewhere hot and dry but want a supportive and suitably grippy hiking boot? This is the boot for you! Another reliable Merrell boot, the Siren Mid provides sufferers of flat feet with a very comfortable foot bed and a supportive frame designed to help align the foot strike. Aside from comfort and shock absorbance, the heel cushion also contributes to stability making this a very stable boot. Ortholite anatomical foot bed is the main draw card for flat feet sufferers as it contours to the foot providing support and comfort. Q-Form EVA foot frame guides the foot through the foot strike, while also working to absorb shock. Lightweight and extremely comfortable, they require no breaking in. Vibram sole with 6mm lugs for durable traction. No toe cap but this doesn’t have to be an issue unless you have a habit of stubbing your toes! This is a sturdy, rugged waterproof shoe that will stand you in good stead on all trails and in all weather conditions. Since narrow feet are more common among women, there are not many hiking boots for men with narrow feet. 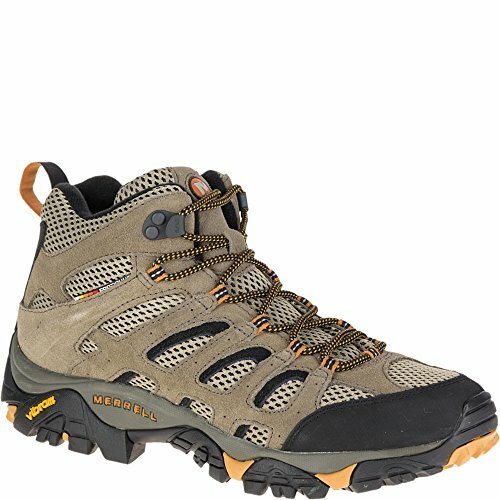 In such a limited segment, these boots stand out as the best hiking boots for narrow feet for men. They are not designed to be specifically for narrow feet, but like the other boots, they tend to run more narrow than other brands. 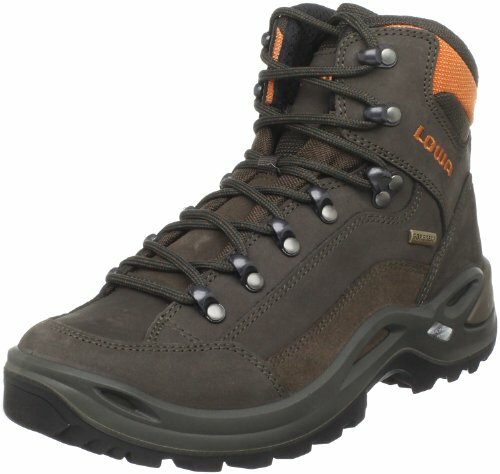 The boots are waterproof and provide durability and support for long hikes. 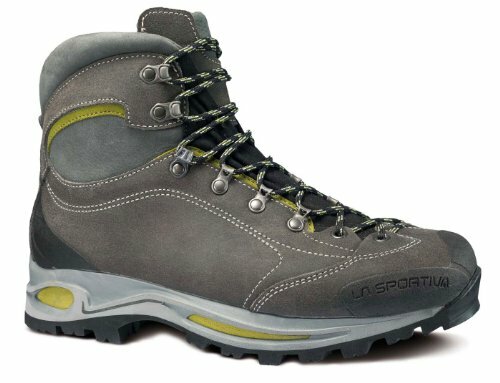 A unique feature in this boot is the design for the forefoot that reduces toe strain when hiking down hills by securing the foot in the boot. These boots are on the expensive end of the pricing spectrum. They are also fairly heavy boots because of their sturdy design. For men looking for a solid boot design that fits their narrow feet snuggly enough to provide essential support, the Lowa Camino GTX is one of the best options. These are heavy duty hiking boots, and they’re meant to hug tight. If you’re a man with narrow feet, you’re going to appreciate the design. These lace through reinforced metal eyelets, helping them stay tight and allowing you to custom tighten them to properly fit your foot. If your feet get narrow towards the toe, you can lace them up to fit like a glove. These come is sixteen different sizes, so there’s a perfect fit for everyone. Durable leather upper is resistant to scratches. Superior sole grip prevents slipping and sliding on different terrain textures. Since the adjustments are circumference based, they’re much better for narrow feet than wide feet. These are a dream for narrow footed hikers looking to scale the top of the highest summit. They look good while incorporating a lot of different support and adjustment features that give them a custom kind of fit that people with off-average feet need. Easily the best hiking shoes for narrow feet, Asolo’s Fugitive GTX boots are pricey, but worth every penny if quality is what you’re after. These are the boots you buy if you want a pair that will last you a lifetime. They are seriously heavy duty boots. While they might take a little longer than most to break in, once broken in, they will be surprisingly comfortable. Very waterproof – these are the kind of boots you can submerge your foot in a puddle with and still come out dry. Spacious toe box which allows room for your toes to breath. Reinforced rubber heel and toe add durability while protecting your feet from rocks and tumbles. DuoAsoFlex midsole cushions and absorbs shock. Extremely good traction means this is a boot you can take on heavy duty winter hikes. 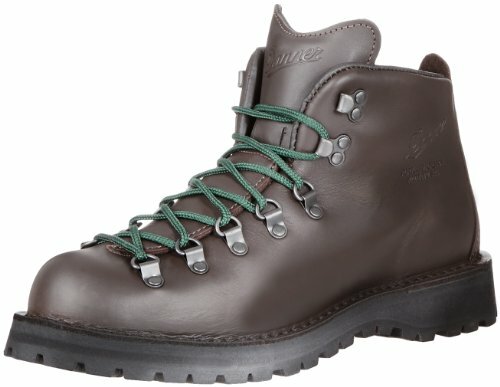 Pricey and more than most people need in a hiking boot. If you want the best, then Asolo are probably the way to go. They don’t cut corners with their boots, so while you’ll pay for that with your pocket, your feet won’t. Made in Portland, Oregon, these boots are another example of quality craftsmanship. They are also some comfortable boots for narrow feet. The one-piece seamless leather upper is 100% waterproof. A unique self-cleansing mechanism ensures that a build-up of dirt and mud won’t occur, which just adds to their long term durability. Leather and cordura uppers are waterproof and durable. These boots can be fixed and have parts replaced the way boots from the good old days could be, meaning these are literally the only pair of hiking boots you will ever need to own. Vibram Kletterlift soles provide great traction and shock absorbance. GTX lining is breathable so that your feet stay dry even on hot summer walks. A sneaky little tab on the tongue allows laces to be threaded through to prevent tongue slippage. They do need to fit perfectly to ensure that they are comfortable so make sure you get the right size! The best men’s hiking boots for narrow feet provide they fit you properly! These boots are a fantastic option for those who want to get off the trails and hit the rugged slopes but don’t want to be weighed down or restricted by a heavy, stiff boot. The TX4 MID GTX is lightweight, soft and flexible while being very stable and supportive. It has excellent traction and is designed specifically for technical hiking while carrying a heavy load. 80% leather, 20% fabric with Gore-tex lining for maximum waterproofing and breathability. STB control system provides ample ankle support for hilly traverses. Vibram Mega-Grip outsole has excellent traction while also including the Impact Brake System for added control and shock absorbance. Flexible sole allows you to feel the terrain that you’re walking over without being disconnected and too high above the ground. Sizing may run a little small. Perfectly suited to rock scrambles and steep traverses and with some of the best traction available, these are boots are ideal for rugged, technical hikes. It is difficult to find boots specifically designed for narrow feet. While these boots are not designed with narrow-footed customers in mind, they do run considerably more narrow than other brands, which makes this boot one of the best hiking boots for narrow feet. Not only is this boot waterproof because it is made with Gore-Tex, but it is also very breathable with solid ankle support. It is made with durable leather, and as far as leather Gore-Tex boots go, it is on the lighter side. As with most other boots made with Gore-Tex and leather, these boots will weigh heavier on the foot than synthetic options. They also come at a higher price point because of the quality design and materials. Even though it is uncommon to find boots that are made to fit narrow feet, it doesn’t mean you have to settle, and these boots are proof of that. 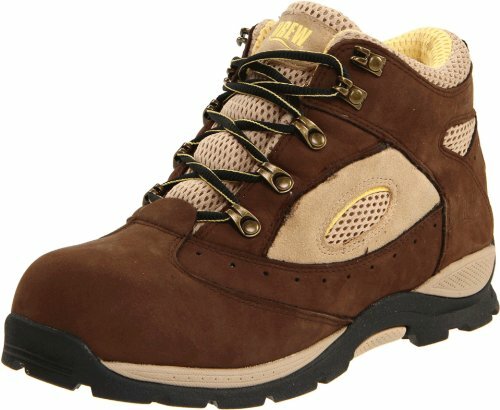 Not only do they fit narrow-footed women really well, but they are also all around good quality hiking boots. Vasque is another brand that tends to run more narrow than others making this boot a great option for women with narrow feet. It is another Gore-Tex boot with a comfortable foam footbed and both arch and heel support. 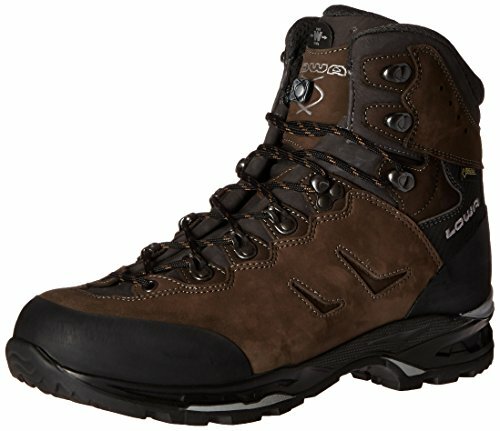 The waterproof Gore-Tex and quality leather make it great for hiking in a lot of wet weather. It is also made with a Vibram outsole, which gives it a lot of stability for not just hiking but also backpacking. Another pro is that it is a relatively moderate priced boot despite being made with leather and Gore-Tex. Again, the downsides of these boots are caused by the elements that make them so great. The Gore-Tex and leather make them heavier and less breathable than their synthetic counterparts on the market. For a woman looking for the best hiking shoes for narrow feet, this is certainly a solid choice. It is a sturdy boot that can handle a wide variety of elements. The Vasque St. Elias GTX boots are great for people who plan to do a lot of different types of hiking in different climates. La Sportiva are known for their narrow fit, making the Core GTX another great choice for hikers with narrow feet. 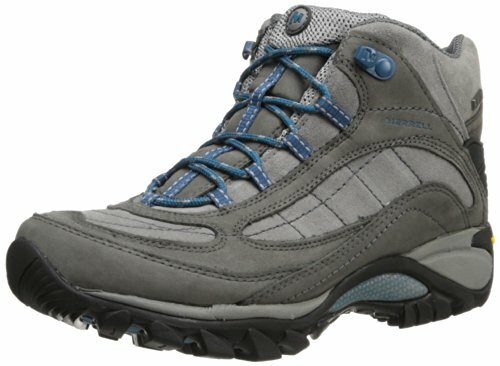 Waterproof, breathable Gore-tex make this all-synthetic boot the hiking partner you would want with you on a long hike. They are durable, lightweight and supportive with top of the line Vibram outsoles for reliable traction. 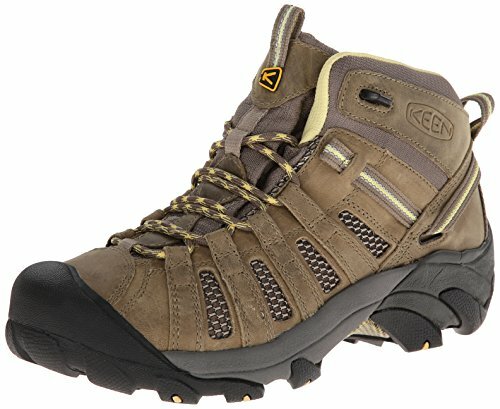 Extremely comfortable, these are the kind of hiking boots that make you feel as though you could walk forever and not get sick of wearing them. STB technology provides ankle support that makes this a high mileage boot. Vibram Nano sole is durable and provides top level traction making you feel safe on even the most unstable terrain. Despite all of its features and being a high top boot, the Core still manages to be lightweight meaning it will feel fast and won’t weigh you down on long hikes. There’s not much to say against these boots except for the usual, try before you buy to make sure you get the right size. 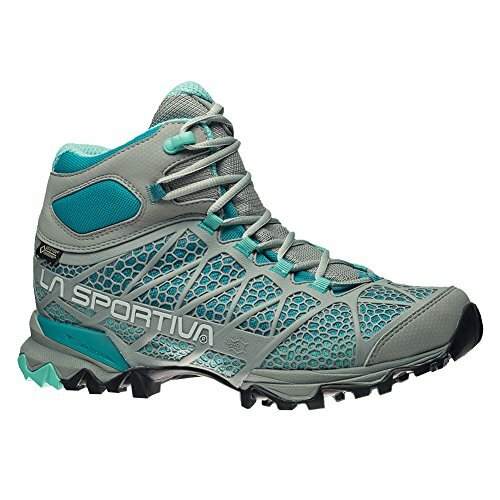 If you’re looking for a very comfortable hiking boot that is also lightweight and supportive, La Sportiva’s Core GTX is for you. 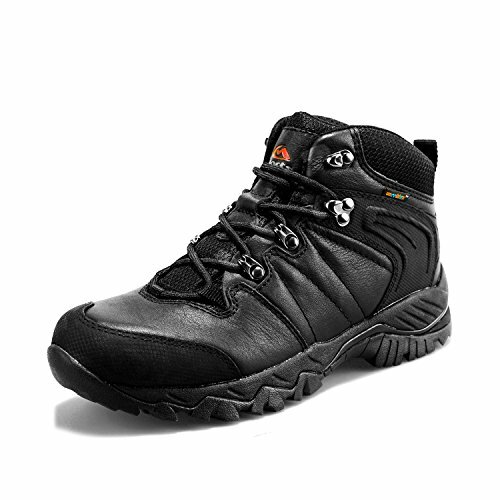 Surprisingly sturdy and rugged given their light weight, these boots will stand up to all kinds of terrain and distances. Vasque are another brand known for their low-volume, narrow fitting boots making them an ideal choice for those with narrow feet. The Talus features the UltraDry waterproofing system which ensures your feet stay dry and warm in all weather conditions. The women’s specific technology means that women’s feet are especially well catered for in this boot, making it very comfortable, snug fitting and secure. The narrow heel cup and spacious toe box means narrow feet will feel supported while your toes are free to splay as they should. Vibram sole with v-shaped lugs provides formidable traction over all terrain. All-leather construction makes for a tough, long lasting boot that will see you hiking for many years. Reasonably stiff shack keeps you stable and supported on rugged hikes. Very good value for such a top quality boot. As there is no rubber toe cup, the exposed leather in this area may wear faster than the rest of the shoe. 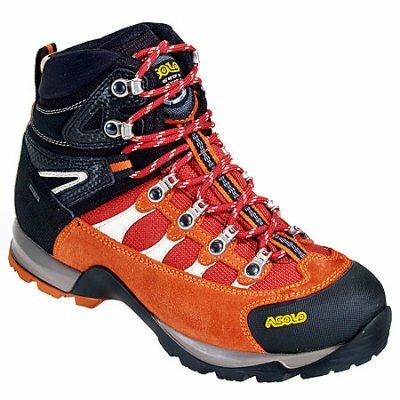 These are easily some of the best women’s hiking boots for narrow feet, being snug fitting, women specific, extremely comfortable and durable enough for serious hiking. Whether you are a hiker with wide, flat, or narrow feet, or you are simply wanting to learn more about picking the right pair of hiking boots, you should now be better prepared to go out and buy some. Carefully consider the type of boot, materials, and fit before you make a purchase because choosing the wrong boot could cause you incredible pain. Ill-fitting boots can quickly ruin an enjoyable hike, even if it is a short one. If you struggle with finding proper fitting shoes because you have wide, flat, or narrow feet, this review hopefully served as a guide and, at least, sent you in the right direction. While the boots on this list may be the best to some people, they might not be the best fit for you, so you should take this information and find YOUR best fit. You may find that these particular boots might not work for you, but it could be helpful to look at other boots by the same brands. Don’t settle for boots that don’t fit you quite right. Take the time to learn about boots and try on several pairs. Good luck finding a pair of boots that will take you on miles of adventures and always remember to break them in!